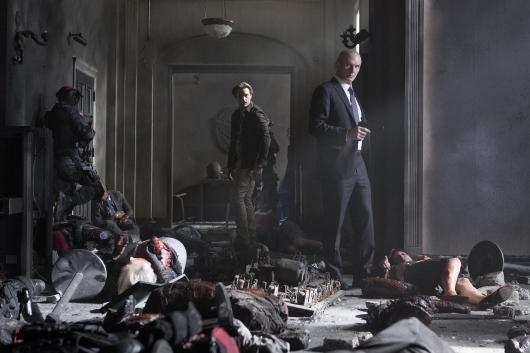 Last time on Colony, the Green Zone was attacked, orchestrated by Karen (Laura Innes) and the Red Hand, and Bram (Alex Neustaedter) was in the middle of it all. “Lost Boy” took different character points of view from different settings and times, in a uniquely filmed episode. 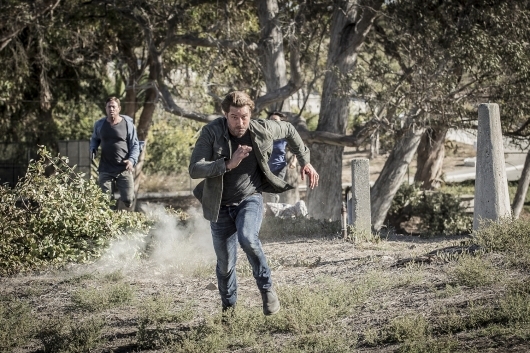 Will (Josh Holloway) tried to convince Bram that to leave was necessary. Karen delivered a manifesto and everyone drank martyr juice. Maddie (Amanda Righetti) covered for Bram. Snyder (Peter Jacobson) looked for more intel on Nolan and the Proxy (Adrian Pasdar, Tony Plana) for Helena (Ally Walker). Bram killed for the cause. Last time on Colony, Katie and Broussard (Sarah Wayne Callies, Tory Kittles) tried to help the kid from the cell that Will let go, but the redhats got to him first. Men burst into the house and killed Lindsey (Erin Way). Charlie and Gracie (Jacob Buster, Isabella Crovetti-Cramp) hid on the roof, until their parents came and killed everyone. Snyder made Bram (Peter Jacobson, Alex Neustaedter) give up the other kids who planned the bombing. He shot them all except Bram. Helena (Ally Walker) went to the prison to pick up Snyder before it was demolished. He took Bram too. 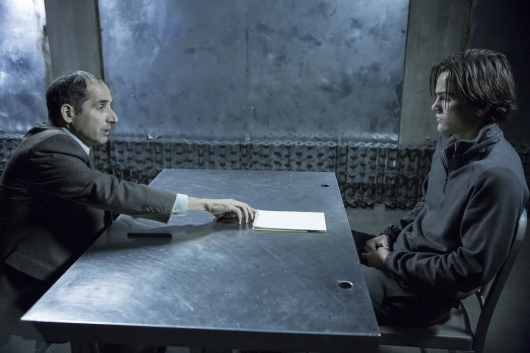 Last week on Colony, Will (Josh Holloway) and his suspicious partner Bob (Toby Huss) ferreted out a suicide bomber cell, but got no info from the girl, no thanks to Bob’s torture methods and Will’s softness. The file-stealing-accusing train traveled from Nolan to Maddie to Katie (Adrian Pasdar, Amanda Righetti, Sarah Wayne Callies), and everyone denied it. Katie had taken the file to Broussard (Tory Kittles) to decode it. Broussard not only found out when Bram (Alex Neustaedter) was being released, he also found out that there was a countdown clock until when everyone would be gone. Maya became a suicide bomber on the shipment transport, while everyone watched it explode with fear and awe. 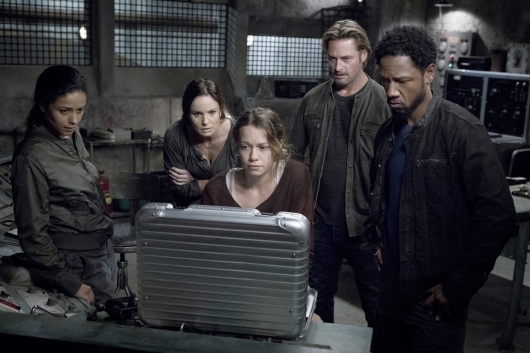 Last time on Colony, Will (Josh Holloway) took the alien-crypted file to work to try to get Betsy (Keiko Agena) to open when he couldn’t. Bob (Toby Huss) stepped in and later “transferred” her. Katie (Sarah Wayne Callies) got pulled back into the cell, when one of them got sick and died from radiation poisoning. Broussard (Tory Kittles) was not around. Will and a reluctant Green Zone doctor helped. 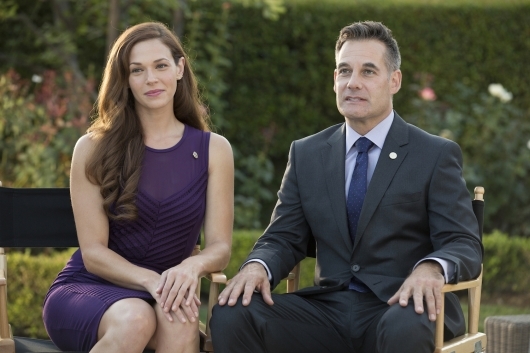 Maddie and Nolan (Amanda Righetti, Adrian Pasdar) visits the prison camp. Maddie visits Bram (Alex Neustaedter) and is upset (they both are), but can’t do anything. Nolan makes Snyder (Peter Jacobson) show him the shipment. Snyder rats him out. Last time on Colony, the Bowmans are reunited sans Bram. Charlie was having trouble trusting home. 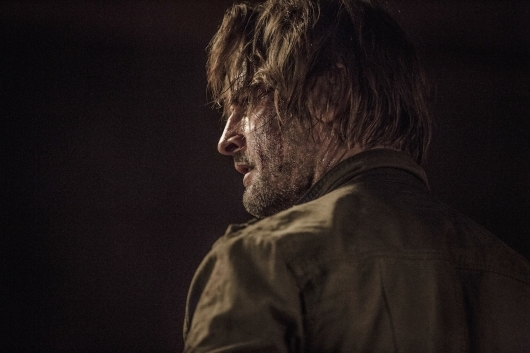 Will told Katie (Josh Holloway, Sarah Wayne Callies) they have to stick together. Charlie (Jacob Buster) set Lindsey’s (Erin Way) book on fire. Will noticed that there were cameras in the house, and whispered that to his wife in the shower. Jennifer (Kathleen Rose Perkins) did not turn the Bowmans in, deleting their files when she got fired. She went home and took a bunch of pills. The entire bloc was being watched. 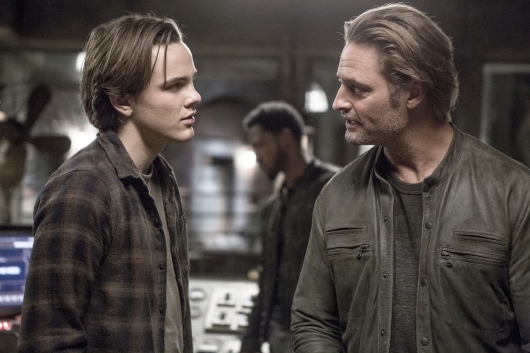 Last time on Colony, Will, Devon, and Charlie (Josh Holloway, Carolyn Michelle Smith, Jacob Buster) took a “coyote” to get over the wall back into the LA bloc. It was really scary, but Charlie was a champ. Unfortunately, a drone noticed them and reduced Devon and the 2 strangers to blood spatter. After studying Will for a bit, it went away. Jennifer (Kathleen Rose Perkins) put more pressure on Katie (Sarah Wayne Callies) to give up Broussard (Tory Kittles), but Katie genuinely had no way of getting him. She apologized to her sister and prepared to send Gracie (Isabella Crovetti) there, and give herself up. She waited for Homeland to knock on the door, but when the knock did come, it was Charlie and Will. 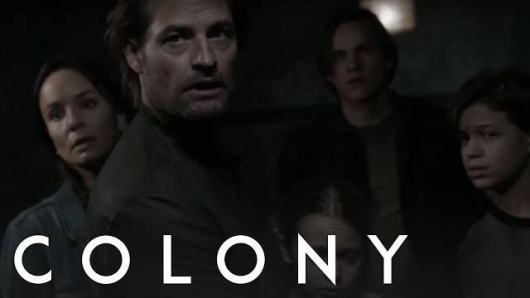 Last time on Colony, we got a glimpse of life before the occupation… right before the occupation. Will and Katie Bowman (Josh Holloway, Sarah Wayne Callies) had a normal family – cute little kids, angsty teenage son, spouses in it together. Will worked for FBI and Katie owned a bar – the Yonk. On that day, all electronics died, key military were extinguished (except Broussard – Tory Kittles – who were extra savvy), and a wall came crashing down, penning them in. The Bowmans lost their son, Charlie (Jacob Buster), which is where we met them at the beginning of season 1.